Finally, after months of salivating at the idea of sinking my teeth into this game I can play it. This is a review of Vampyr, the latest game by French developer Dontnod. Now, I got only got the game since Tuesday morning and my opinion below is formed based on around 6 hours of gaming. Set in 1918 in London – during the last days of The Great War and the start of the Spanish flu – you play as Doctor Jonathan Reid. Dr. Reid has recently returned from the front, but in London he was attacked, turned into a vampire and left for dead. You as the player must uncover why you were attacked and try to stop the vampire plague. For a full description of the setting I advice you to read my preview of the game. What sets Vampyr apart from other games are the immersive surroundings. 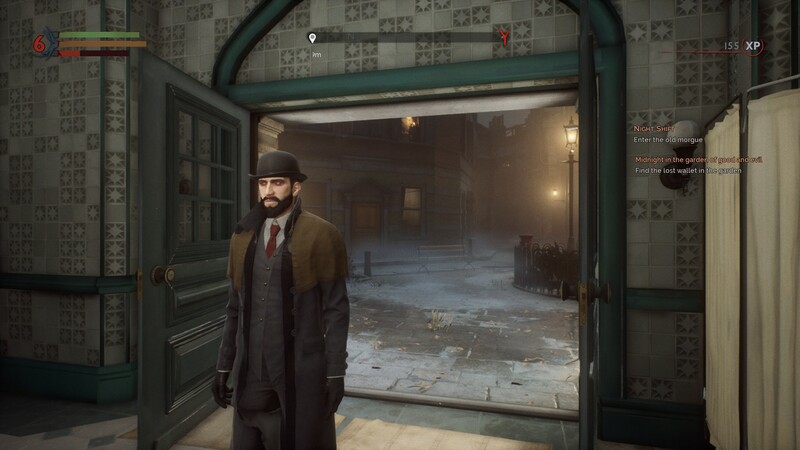 The Gothic looking London, fully-fleshed out characters and story quests and a wink-and-nod to Sherlock Holmes got me hooked straight away. Actions have consequences – killing an NPC will affect how the story unfolds later in the game. As a medical doctor you are also given the choice of healing someone in keeping with your oath, or to feast on them as a vampire. 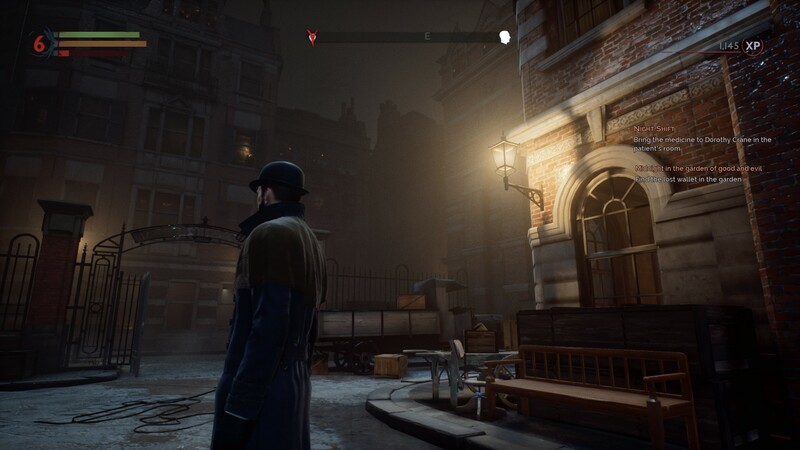 As mentioned Vampyr looks very good – the area of London between Whitechapel and the river Thames has been beautifully if not faithfully recreated. Basing the game on the Unreal Engine has definite advantages. Though at times some of the textures appeared a little grainy. Perhaps a resolution scaling issue. The authentic facial expressions of the characters make up for such a slight issue. Not everything about Vampyr’s gameplay is positive either. The combat remains a hit-and-miss. Too often I won fights with just button mashing. Sadly, that does not always work. The ability to perform a dodge fails too often – its like the game is unresponsive. After about a half dozen hours spent playing the game you do get a feel for combat. But in my case that often just revolved into using the most powerful skill to kill an opponent – and involved little to no timing or tactics. 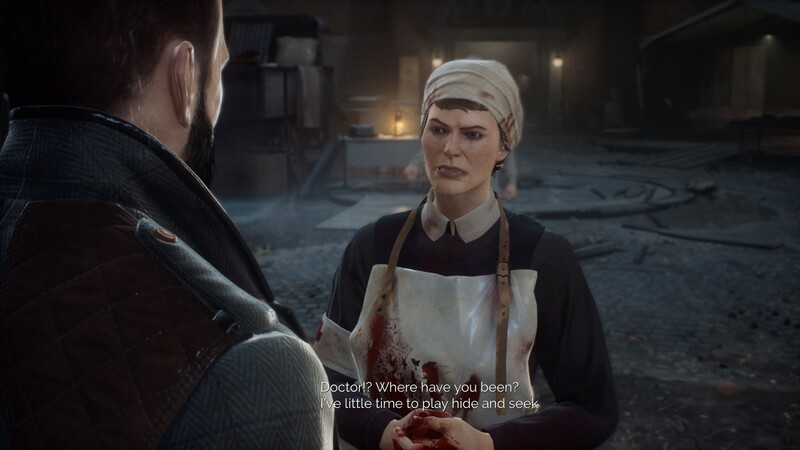 Speaking about skills, Vampyr may have overdone it with the Role Playing aspects. No only can you upgrade weapons, but also your health and your skills. Plus there is a whole mechanic to keep track of NPCs. The latter is necessary to further the game. In order to unlock new dialogue you need the NPCs background and personal secrets. But NPCs have relations and the developers have involved a whole relationship tree in the game. For a long time all this felt overwhelming. Combined with the distinct combat system I am still wondering whether the game is an action game with RPG elements or vice versa. That said, the game gets better as you progress. And the mystery of Jonathan Reid’s recent past will drive any gamer forward. If you are looking for a good narrative driven game for the summer you can do worse than purchase Vampyr! Vampyr is not available on Steam for PC, PS4 and Xbox One. More ‘Adrift’ concept art from DontNod Entertainment.